The terms “leg mover” and “back mover” have begun to be thrown about over the past decade, but what exactly do these terms mean, how can you tell the difference and does is really matter? 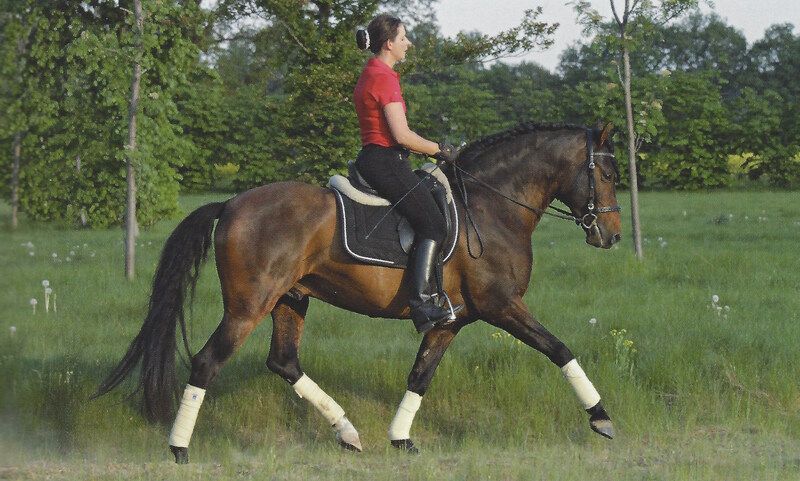 A leg mover is a horse whose head-neck axis is raised higher and the neck made shorter than the horse’s level of training. Dr Gerd Heuschmann calls this, “absolute elevation”. 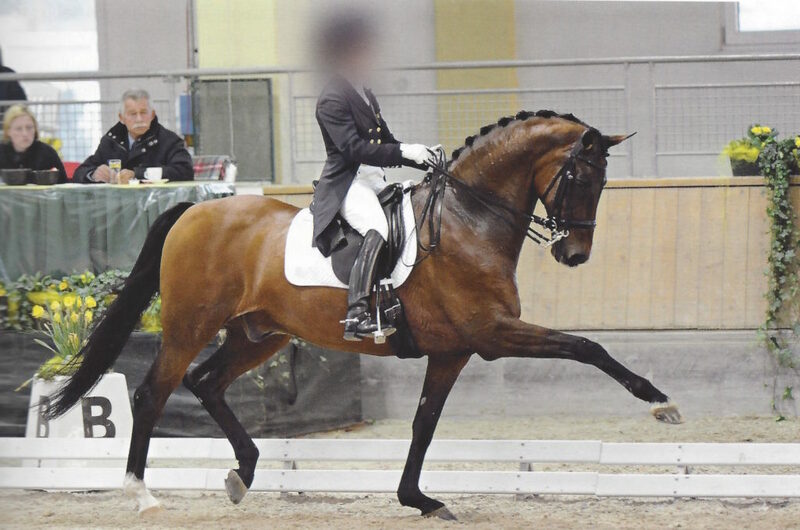 Effectively, shortcuts have been taken with the horse’s training and the result is a dropping of the back, a loss of connection between the forelegs and hindquarters and poor basic gaits. The horse is tense, unwilling and resistant. How can you spot a leg mover? The front and hind legs are not working parallel, with the front legs reaching longer and higher than the hinds, resulting in an odd, disunited gait 81. The leg mover has all the appearance of flashiness, but the body of the horse tells a different story. Look for unparallel hind and front legs as a first point of reference. A back mover is a horse who is engaged, forward moving and using their whole body correctly for their level of training. Dr Gerd Heuschmann refers to this state as “relative elevation”. 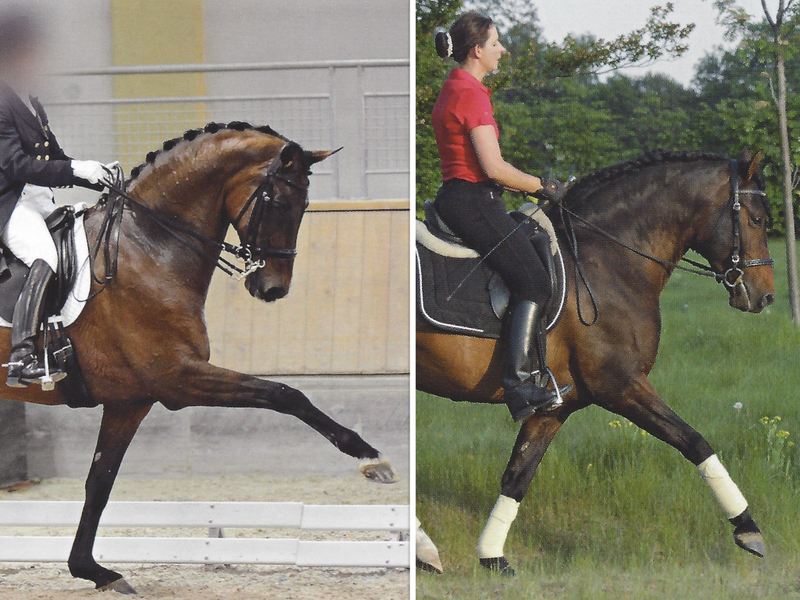 A back mover has been trained in such a way that their head-neck position has been allowed to reflect the horses’ training level and progress, rather than rushing and taking shortcuts. How can you spot a back mover? The back mover may have what appears to be a less “flashy” leg movement, but the horse is actually working biomechanically appropriately. The horse is not tense and they are happier in their work. The reach and angle of the front and hind legs are parallel. There are three fundamentally important reasons why you want to buy a back mover, or train your horse to be a back mover, as opposed to a leg mover. Leg movers work in a biomechanically inappropriate manner. As with the human body, when the horse does not engage its body in a safe and appropriate manner, degeneration occurs at a faster rate, meaning that the working life of the horse is significantly reduced.Back movers are more likely to have a longer working life due to the fact that their bodies have been trained and effectively “set-up” for the work that they are being asked to perform. Like a well-trained athlete, they can have a long and successful career, often well into their 20’s. A leg mover is a horse who has been trained using shortcuts. They are being asked to hold a frame beyond their training and physical capacity. The result is a horse that is stressed and sore. The leg movers that I treat have recurring tight, sore spots in the same muscle groups every time that I treat them and the fact is this, prevention is better than cure (or rehabilitation).On the other hand, a back mover has been trained to use its body properly. Its training has been graduated and it is more confident to undertake its work. It also has the strength and suppleness to undertake the work that it is asked to perform so it is less likely to hold pain and tension in its body. A leg mover often works well for its rider out of fear of pain. They may take less enjoyment out of their work. In many cases, the horse will turn sour and / or become dangerous to ride, resulting in the end of their working life and early destruction. A horse that has been trained in a graduated manner, such as the back mover, is more confident in their work and less anxious around their human handlers. Less fear results in greater trainability and a more positive working relationship. Dr Gerd Heuschmann is a master in the field of biomechanical training. 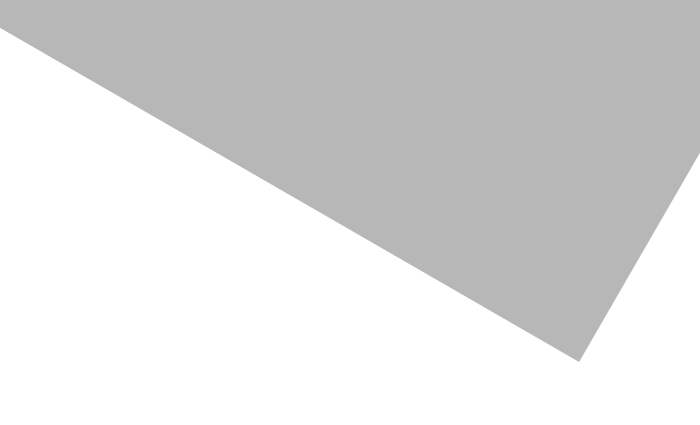 For recommended texts from Dr Heuschmann, refer to my Resources page here. Are Worm Burdens in Horses Really “Natural”? I Retired My Horse Too Early…. Receive my free info-poster “Unsafe Herbs for Your Horse” and gain peace of mind that you are feeding herbs safely. You’ll also receive free articles, news and offers on all things natural horse health, delivered direct to your mailbox. Unsubscribe at any time.